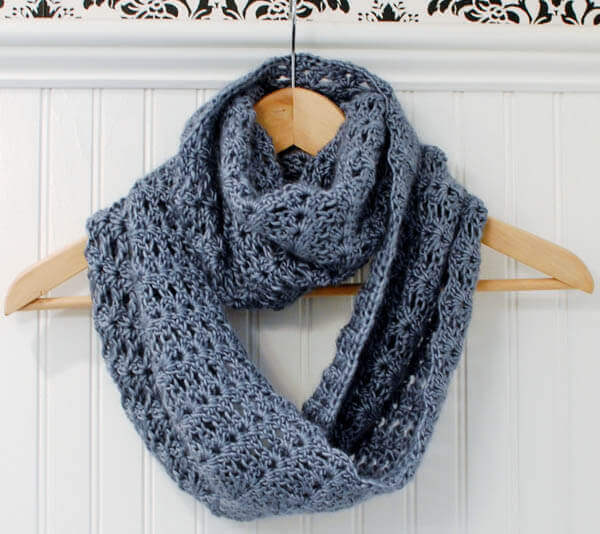 One pattern … so many possibilities … The perfect wrap for your little black dress, yet also perfect as a scarf with your blue jeans … so stylish and versatile, the scarf/wrap makes the perfect accessory to enhance your wardrobe. 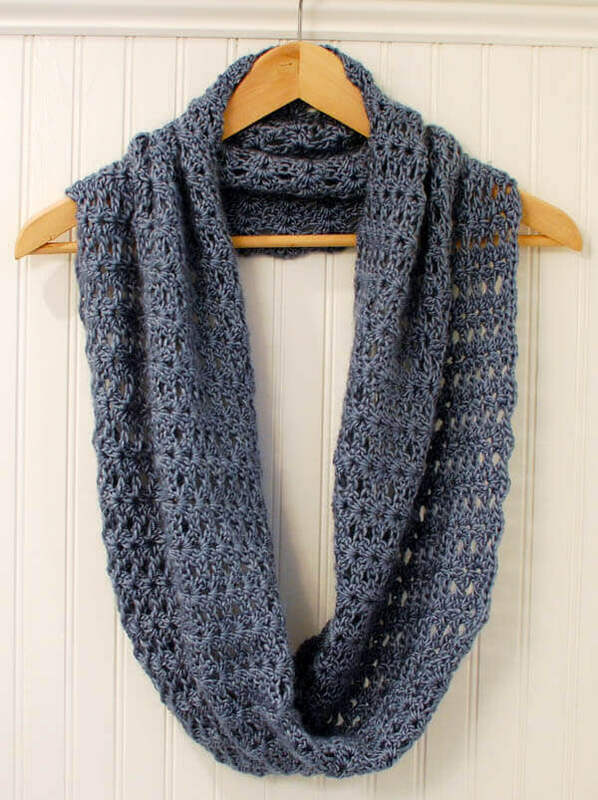 The perfect wrap for your little black dress, yet also perfect as a scarf with your blue jeans … so stylish and versatile, this Mobius Infinity Scarf makes the perfect accessory to enhance your wardrobe. Quick and fun, this scarf follows the same stitch pattern as used in the popular Mobius Cowl pattern. The pattern can also be easily customized and includes detailed instructions to help you achieve the look and fit you want … think cowl, hood … so many options. The pattern is written as a true mobius infinity and is worked in one continuous piece with a 180° twist … no need for sewing! 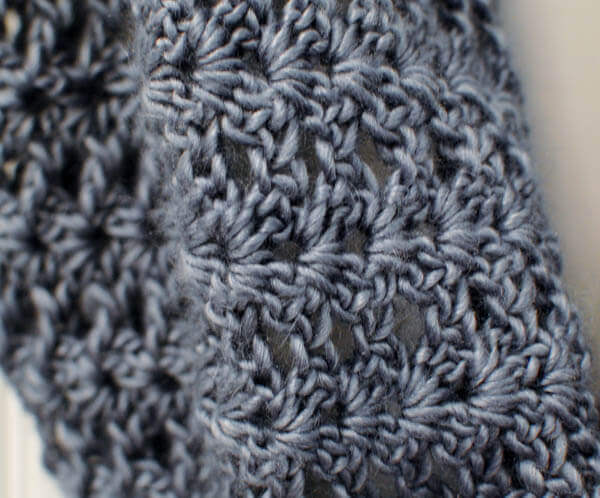 The easy-to-follow pattern includes instructions to make the scarf /wrap, with added instructions for customization. Stitch counts are provided at the end of each round and full color photos are provided for ease of use. Written in American English according to Yarn Council standards and guidelines. “Great pattern, works up quickly and beautifully.” ~Tonya E.
“Good pattern, easy to follow and worked up great.” ~Cheryl A. “Great pattern! 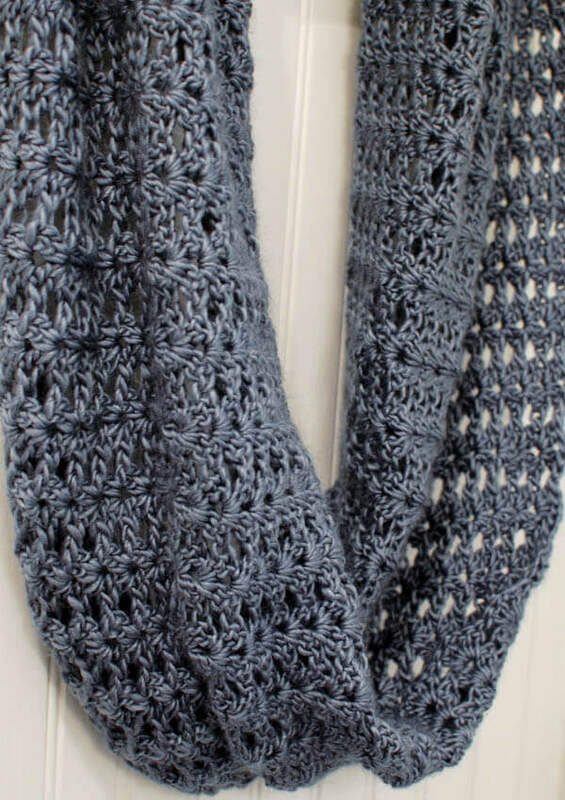 The technique is explained very well and I love how it gives instructions for customizing it.” ~Debbie W.
“Excellent pattern and loved the finished product!! !” ~Lindsey N.
“Wonderful! Easy to follow pattern.” ~Khris S.
“Very good patern! Loved the finished scarf!” ~Sheri L.
“Beautiful pattern. Love it! !” ~Trish K.
“I am a leftie and always finding instructions difficult. Kara did a great job with her pattern. Easy to understand and results are awesome! I was pleased with entire results and transaction. Thank you!!!! 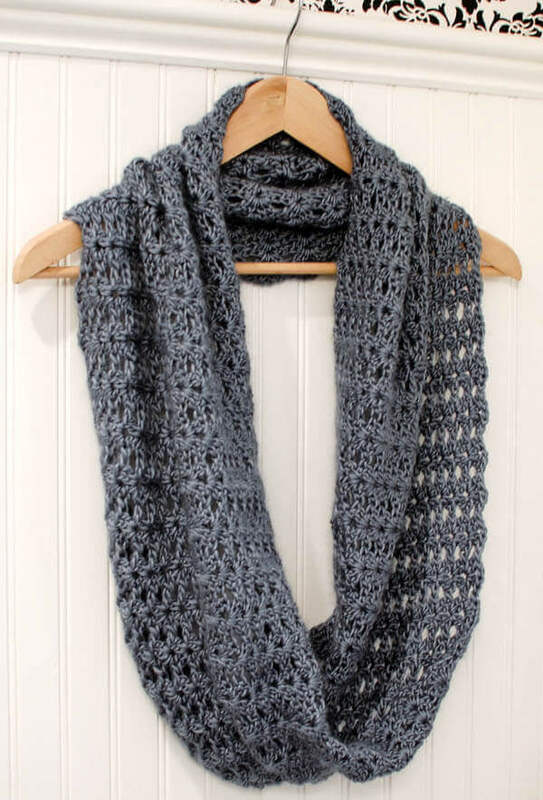 !” ~Lorrie H.
“This is such a simple but unique pattern! 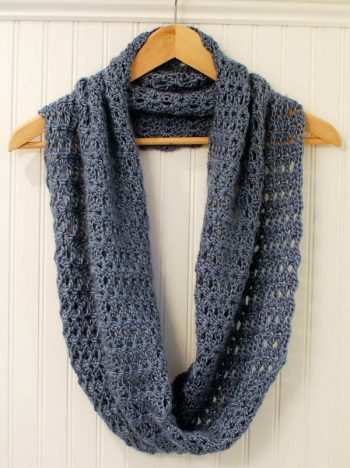 The scarf comes together so quickly and looks great on.” ~Marta S.